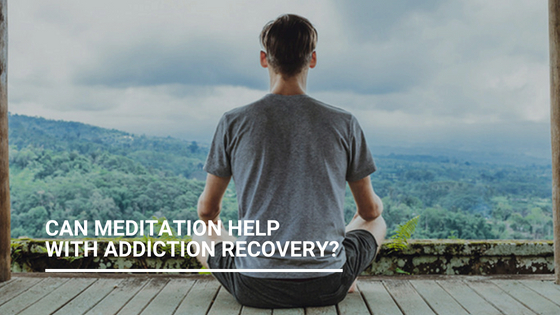 How Can Meditation Help With Addiction Recovery? Your friends are at it or seem to be talking about it, it’s suitable for everyone and there are many different ways to do it but meditation isn’t exactly a new idea. With written records on meditation dating back to around 1500 BC, it would seem that meditation has had serious longevity, so why does it seem to have grown so vastly in popularity over the past few years? Is it just another fad for you to feel guilty about not making time for on a regular basis or can it be used to improve your mental health, as a tool to aid your recovery and help tackle addiction? The more mankind has developed technologically the more disconnected we have become from each other and ourselves. Seeking outside influences for meaning and fulfillment, developing shorter attention spans, creating over stimulated, overactive minds. This can cause stress, anxiety and depression and in turn lead to substance abuse and addiction. Meditation is said to quieten down the mind ‘chatter’ by concentrated focus on something such as a sound, image or feeling to achieve a mentally clear and emotionally calm state. Is there any evidence to suggest this really works? Over the last 20 years there have been countless studies looking at the benefits of meditation on our health, happiness, brain function, productivity and perspective. All this research has undoubtedly contributed to the popularity of meditation over this time and making it more acceptable to the masses. A study published in The American Journal of Psychiatry (Goldstein et al) 2002 examined the role of certain brain regions in drug addiction. The findings showed that the prefrontal cortex or happiness centre of the brain became over stimulated during a period of intoxication and underactive during withdrawal. Dr. Sara Lazar study in 2005 showed people who meditate on a regular basis had significantly activity within their prefrontal cortexes or happiness centre. Put simply meditation brings a natural, healthy high which can help people in recovery by stimulating the happiness centre in the brain naturally without the need for other substances to feel good. The American Journal of Drug and Alcohol Abuse (Scott et al) published a study in 2005 looking at 121 patients going through an inpatient substance abuse program. The participants were given EEG biofeedback training, which changes the brainwave patterns of the user into a more advanced state of consciousness using alpha & theta waves. After a year 77% of patients were drug free. Numerous studies have show that the alpha and theta waves are also produced during meditation, providing real evidence that meditation can really help on the road to recovery. The University of Washington researchers (Bowen et al) carried out a study in 2006 that examined 78 prison inmates with substance dependency for three months. They were taught a meditation technique for 10 days, and given questionnaires to self-report their drug use at day 0 and again at day 90. The study produced the more incredible results over the 3 month period. The inmates who practiced meditation for the full 3 months drank 87% less alcohol, and used 89% less marijuana. In fact meditation was found to be almost 6 times more effective than the group’s traditional chemical dependency treatment plan. Ibiza calm is a tranquil calming space providing the perfect environment to introduce meditation and start to develop a daily meditation practice. We believe there is overwhelming evidence to show the real power of mediation in recovery and how it can, focus and calm the mind and help to change addiction.